Gold RX Caps from BO Vaping are a classic tobacco flavour e-liquid boasting a sweet and smooth blend with nutty undertones. These caps are ideal for your go-to tobacco flavour and are extremely popular. When paired with your BO kit, you'll have an all-day tobacco fix ready at your fingertips! 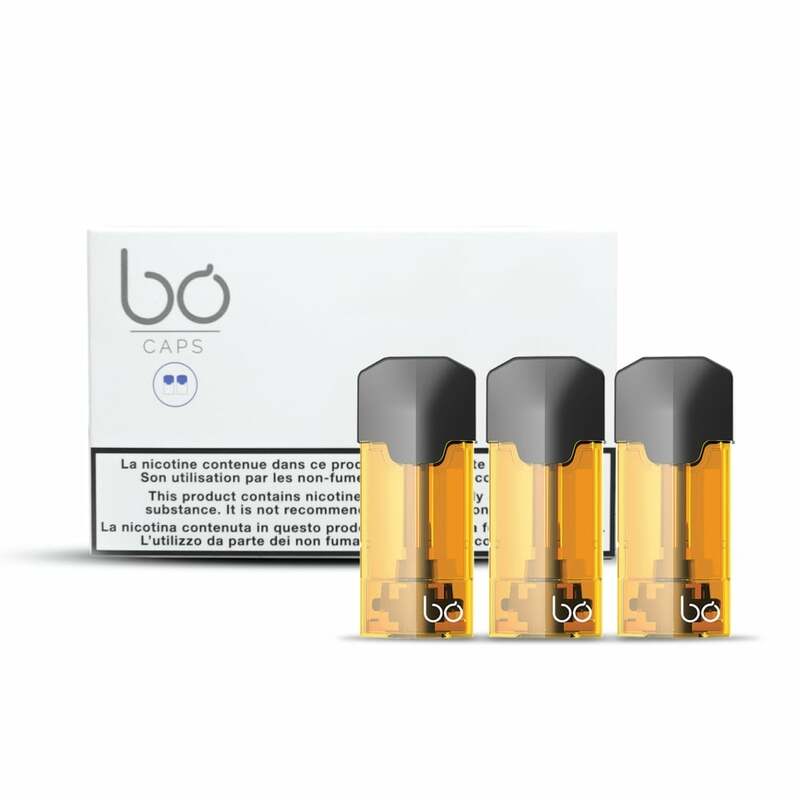 BO Caps contain 1.5ml of e-liquid and are available in nicotine strengths of 16mg (1.6% nicotine), 8mg (0.8% nicotine) and nicotine-free. Due to the Easter Bank Holiday Weekend, no collections or deliveries will take place on Friday 19th, Sunday 21st or Monday 22nd April. Deliveries will take place as normal on Saturday 20th April. What is the warranty on cartomizers? Cartomizers sold by The Electric Tobacconist® are orally consumable items and are not covered by a warranty. However, if deemed to be faulty we may replace them at our discretion if contacted within 7 days of order date. Please note: the majority of seemingly faulty cartomizers are in fact related to the battery not being powerful enough to heat the liquid inside the cartomizer (ie the battery has lost power overtime and probably needs replacing). This in turn gives the impression that the cartomizer is empty. It can also create an 'undercooked' vapour flavour which may be very different from what you are used to. When you get a good build wich bo does do its fantastic product compared to other vape tastes i must say its great but like other companies you always get some problems unfortunately ive had a few bad bo caps it happens but i believe electronic tobaccnest will help me with my problems as they are very friendly and have helped some of my friends with problems great company they keep moving forward to get the best for you..
Good hit only issue is that they are alittle expensive but it is top premium quality i do like this also nic salts caps are great.nice flavour best. Bo makes the best tobbaco flavours in my opinion and this is no exception. I've bought the 8mg and that's the best in my opinion. Just a pleasant tobbaco flavour with a hint of ginger or even maybe curry in there. I like it, it has a nice warm texture. Don't usually like it immediately after eating but apart from that, nice one. Ok, so this one isn't bad and has flavour, unlike the Red Light. Pretty good tobacco flavour with the 8mg supplied with the Bo. Still not entirely convinced by the shape of the mouthpiece and the way it feels. Great flavour and very smooth. My preferred tobacco profile from the whole range. Some wicking issues but generally ok, customer service very good in sorting any faulty pods. Love this system , easy to use , no fuss . Smooth tobacco taste with hint of caramel. Great taste, no nasty lingering smells and a good antidote to analogs. Pod quality is hit and miss, sometimes the just fit right or won't fire at all. Generally a bit leaky as well. Having ordered and received this again in 8mg I felt it was my job to review this also. As with the 16mg I got with the vaper, this is a terrific flavour, full bodied, and perfectly described in the product bio. I received one of these with my vape pen, and I loved the flavour. Even though it was a 16mg strength it doesn't kick the back of the throat as much as the mi5 flavour in the same strength. All in all, a nice flavour made micer by being free! I hate the taste of most liquids and the Gold RX is no exception. I make my own for my other devices but I recently ordered the Mi5 pods and I love love love them, so do others as everywhere I tried had sold out.